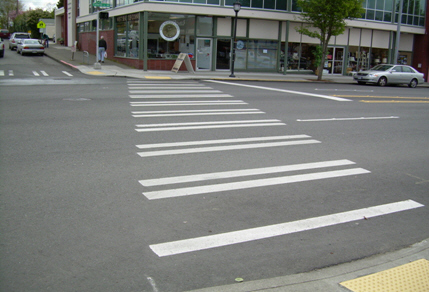 At long last LADOT has removed the reference to the outdated Herms crosswalk study from its website. Is it a sign of things to come at the LADOT? Let's hope so. It wasn't only "outdated", it was not in any way valid. But it allowed simpleton politicians enough rope to say the "studies show" canard, without actually knowing anything about the subject. Noted. I suppose it's really the thinking that's outdated. The study actually doesn't show that crosswalks cause a false sense a security, that was just a possible explanation Herms offered...which has since been disproven.